Last month I used a poll to decide the reading theme, and our second place choice was only 1 point away from being the winner, so I thought ‘why not use it as April’s theme?’… which is exactly what I’ve done! Read a book that’s under 200 pages! This theme is pretty self explanatory and should be super easy for everyone! You may even be able to get in a couple of short books over the month. I’ve been meaning to read this book for ages! At only 75 pages, this is a super easy pick for me this month, especially as I’ve been in a bit of a reading slump! I hope you all like the theme for April! What lil’ book will you be reading for this month? Don’t forget, you can find The BookBum Community on Goodreads too! You can join it here. I will be posting all this over on the GR threads too. I didn’t realize how short that book was!!! And I love the idea of a short and sweet book. Gotta go find one! No way is it that short! I really have no excuse for having never read it haha. It is a super short story! A classic??? *runs the other way* haha! I don’t think my TBR has any books under 200 pages! Dr. Jekyll and Mr. Hyde is such a quick read! I really enjoyed it, though, it felt just the right length for the story being told. I think this is a great theme for the month! It might help me knock multiple (short) books off my list, too. I just finished it and I wasn’t overly impressed, but it wasn’t the worst. Just not my cup of tea really! Understandable! 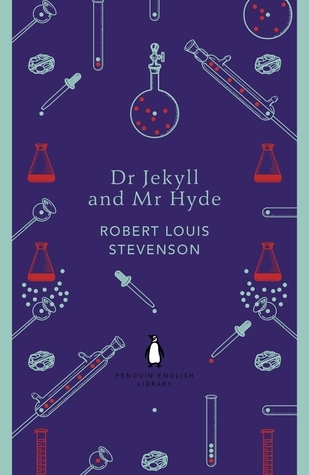 Jekyll & Hyde has such a place in pop culture that the original source material isn’t always going to be what we want it to. I’m glad you read it, though, so that at least you know what you think of it! Reblogged this on Fantasy Books 411.